Order Fulfillment, Distribution Systems, Logistics, Supply Chain Management, and Warehouse Automation are all areas where minimizing time waste is critical. 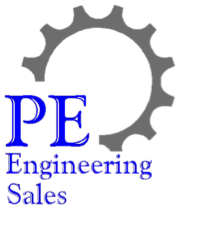 PE Engineering Sales and our Partners can help your organization be more efficient and while reducing operating costs, improving customer service and support, and minimizing product damage. PE Engineering Sales has partnered with W&H Systems to provide specific expertise in designing and automated systems for Distribution Centers and Automated Warehouses. W&H Systems can provide complete Automated Distribution Systems including the Warehouse Control System (WCS), Order Picking Systems, Wave Management Technology, Conveyor, Storage Systems, Automated Sortation, Cross Dock Systems, Truck Loading Software, and other equipment to provide a fully functional, highly efficient Automated Warehouse System. PE Engineering Sales works with the client to determine the best operating system parameters to meet the client's business objectives. W&H Systems provides the horsepower in Systems Design, Project Management, Project Engineering, Controls/Software Engineering, and relationships with "Best of Class" equipment providers to provide the optimal integrated material handling system for the client. Automation of Material Handling has its challenges. Our shared expertise can help you improve your existing system operation, upgrade to provide additional functionality, or plan a new automated warehouse system. Contact Us for assistance with your next warehouse or distribution automation project.